Neal Chance Racing Converters utilizes Screen Sharing technology from Teamviewer.com to study your data logs at the same time we’re on the phone with you. This method makes it fast, easy and safe to analyze your runs for increased performance. When you’re ready to share your screen with one of our support staff, click the green start button which will open a page in your browser. The first thing you’ll see is the screen below. 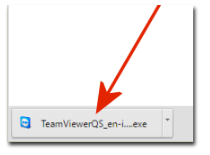 Next, your browser will prompt you to download and save a file called something like TeamViewerQS_en-idce92ez95.exe – this file is safe, it’s a simple screen sharing program that you do not have to install on your computer. When we’re done, you can simply delete it if you wish, no need to uninstall it. Just save the file to your desktop (or other file location that is easy to find). Next, run the file by clicking the link in your browser (or the file name on your desktop). When you run the program, a little screen will pop-up that looks like the image below with the NCRC Logo at the top. Enter your name where it says “Your Name” so when you call in, we’ll be able to identify your computer by your name and we can connect to you. If you have anti-virus software on your computer, you may see a pop-up window come up and ask you if it’s ok for this program to make changes to your computer, chose “Yes” or “Run” and the program will start. Note: It’s not really changing anything, just asking permission to run. Now that you’re all ready to share your screen, go ahead and call our tech support line at 316-542-9869 and we can get busy and study your data with you. 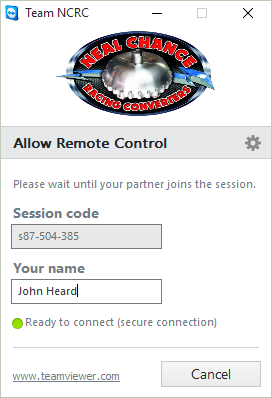 When we’re finished with the call, click the “Cancel” button to close the connection and the Team Viewer Program. You may now delete the file if you want, or leave it and use it next time you want to share your data logs with us. If for some reason the above link does not work, here is an alternate download. It is the same software as described above and works in the same way. Right click the link below and choose “File Save As” then save it to your desktop or a location where you can find the file easily. 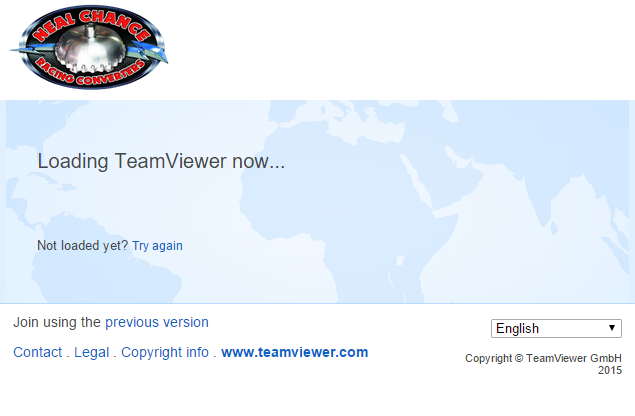 This is the same software, it just does not have our logo on it.